Consumer Reports finally purchased a 2012 Ford Focus Electric for it’s long term review, and has released a piece titled ‘Our new Ford Focus Electric exposes a challenge in buying an EV.’ Even though we all know the Ford Focus Electric is only available in California, New Jersey and New York, Consumer Reports had to make a 100 mile trip to fetch the EV. The Focus Electric has an EPA rated range of 76 miles, and the one they purchased only showed 64 miles range on it when they picked it up. Turns out they set up a tow vehicle along the route at the halfway point. Despite complaining about the whole range/distance from home issue, the driver did seem to enjoy driving the Electric Focus. They found the throttle response more rewarding than that of the gasoline powered Focus. For great car reviews be sure to check out Autoblog Canada. 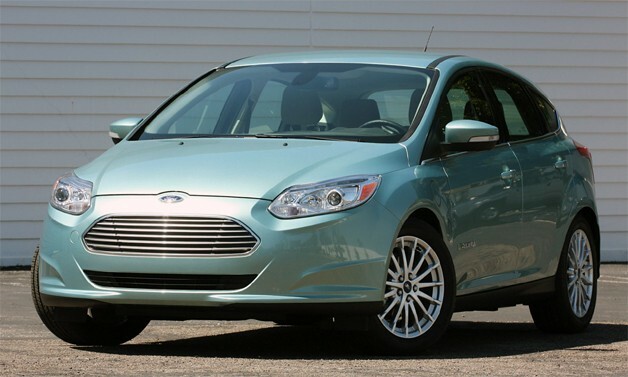 And what is the price range of Ford Focus Electric in California ?